Which is YOUR kids favorite? 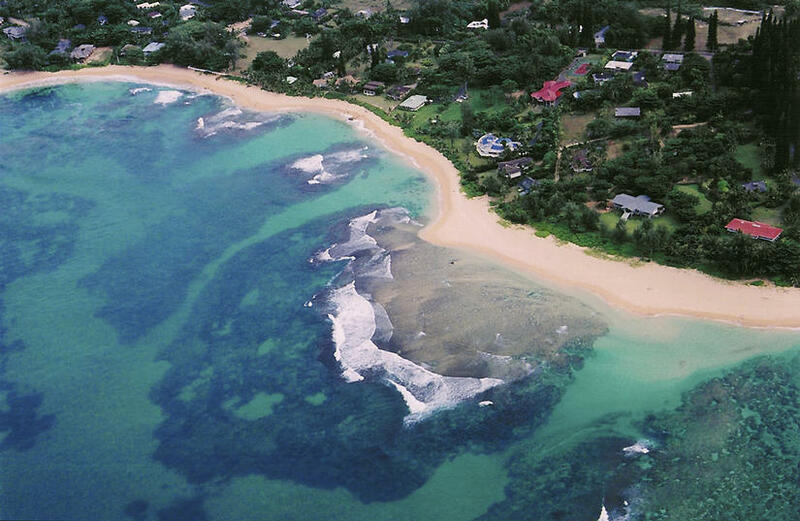 We think these are the best Kauai beaches for visiting with the kids. When our daughter Sydney wants to go swimming, we head to one of these. In fact, if you could put beaches into your T-Mobile “Fave-Five”, these would be in hers! Click the links for lots more info about each of our favorite beaches. ...and you can walk in the water up to your knees and see beautiful colorful fish swimming all over! 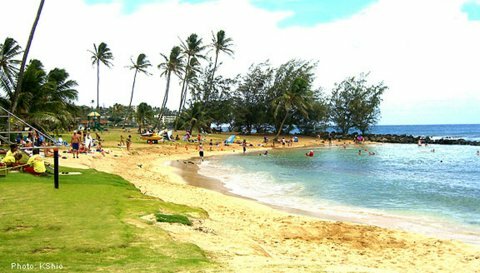 ...next we have Poipu Beach on the south shore. 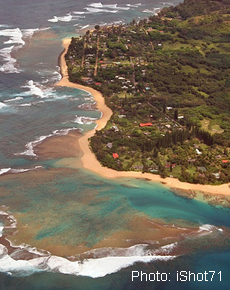 ...Anini Beach is protected by the longest reef in all Hawaii! ...and Kalapaki Beach is the last to make the short list of our favorite family beaches. This is probably the best "all around" beach, because there's great swimming for the little kids, surfing or body-surfing for the older keikis, and the Kauai Marriott Resort beach-side bar is right there for Mommy and Daddy! AND THIS JUST IN - we have a new addition now that Sydney is older - Tunnels Beach is an AMAZING beach - and there's a good chance you'll see some sea turtles on the way! Most of these Kauai beaches have lifeguards on duty and protected swimming areas, which make them perfect for the little ones to wade/swim in. And the big kids (like Daddy!) can explore a little farther out, and snorkel to their hearts content! 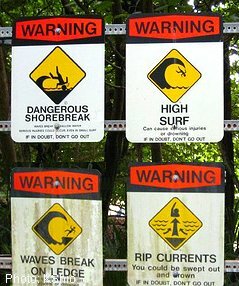 ...PLEASE REMEMBER THESE BEACH SAFETY TIPS before you head out into the water, especially if you plan on hitting other Kauai beaches with younger kids! So kick back, browse around, and check out the info on our favorite family swimming beaches. 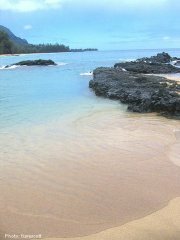 And then look for even more stuff on other Kauai beaches by area. Some of them are great for sunbathing and playing in the sand, and some of them are just great to look at...KAUAI - so many beaches, so little time!